This course is the only English–speaking Principles course in Asia-Pacific this year! 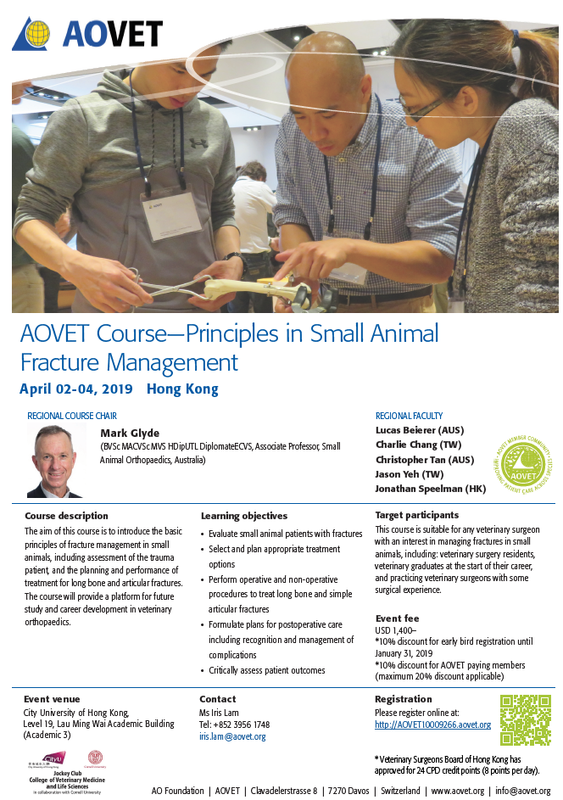 The aim of this course is to introduce the basic principles of fracture management in small animals, including assessment of the trauma patient, and the planning and performance of treatment for long bone and articular fractures. The course will provide a platform for future study and career development in veterinary orthopedics.